In all the talk about New York financier Paul Singer’s plan to go all Gordon Gecko on Novell, one word has not been mentioned nearly enough. Microsoft needs a viable Novell, and Novell’s Linux business was on the verge of becoming viable when Singer’s Elliott Associates swooped in with an offer to break up the company, seize its cash, split off the old NetWare business, and auction off Suse Linux. I doubt Microsoft wants to actually buy that business. Owning a Linux would be a real complication. Suddenly all those patent cross-licenses that claim Microsoft has patent rights to the software take on a different odor, and Microsoft is forced to go down the SCO road to prove its claims. Microsoft has been doing well against Linux through bluff. What the Elliott move does is threaten to make Microsoft show its hand. Even the due diligence process could threaten Microsoft. Singer is going to get a look inside that 2006 agreement. But Microsoft has staked any open source credibility that it has, on Novell’s SUSE distribution. If Novell falls to bits, then Microsoft’s efforts to gain open source cred pretty much disappear with it. It’s something that would have been impossible to imagine a few years back, but if we’re looking for someone to prop Novell up, Microsoft would now be a prime candidate. Of course, given the hostility within the open source community towards Microsoft, Novell and the deal between them, as well as to Codeplex and other open source moves by Microsoft, there would be big questions about how commercially viable Novell would be within Microsoft. But Redmond would be looking at this as an essential purchase for credibility, not a profit centre. Whoever makes a “White Knight” bid for Novell is going to have to move fast, because talent there is going to leave if it looks like the company will be broken up. And even if the Elliot deal goes through, there is still the possibility of deals behind the scenes, points out Updegrove. For instance, Elliot might agree to instantly sell on parts of Novell to a differnet player – say an IBM, a Microsoft or an Oracle – as soon as it seals a purchase for the whole company. The Elliot bid is on the table and there is no going back. Novell, as we know it is going to end – and at this stage, we simply don’t know what will replace it. Novell has been Microsoft’s credibility for patent extortion too. This is why this Web site exists. Other issues include Mono and Moonlight. Scott M. Fulton, a Windows-oriented writer, argues that the “$1 billion takeover bid may mean the end of Novell’s makeover addiction”. Elliott Associates is more likely to flip divisions of Novell to interested buyers than it is to oversee a long-term strategy for the company as it stands. Novell’s Linux business is most likely to be flipped first. At that point, companies ranging from Oracle, to VMware to IBM could be buyers, but smaller players could be too. Elliott Associates will almost certainly carve Novell up, and it won’t be a surprise to see a big, household name in the software industry inherit Novell’s core assets. Here are some thoughts about other companies that may bid for Novell. Though Elliott insists that isn’t its strategy, another buyer could result in a nice payday for Elliott, which began buying up Novell stock only in early January. A rival buyer would guarantee at least $75 million in profit for Elliott’s 8.5% stake — not bad for two month’s work. So who are the most likely suspects? IBM tops the list. The company is probably the biggest proponent of open-source software out there, such as Novell’s Suse Linux, which holds about a third of the Linux server operating system market, the rest held by Red Hat Inc. There are interesting comments in Linux Today and in LWN. Sam Varghese wrote about the role of the Microsoft deal. Novell has had a hard time making profits ever since its NetWare product was knocked off the pedestal it occupied in the ’80s and early 1990s. In November 2006, the company signed a patent-licensing deal with Microsoft but has yet to show substantial gains from the deal. Varghese later explained why these may be the last days of Novell as we know it. As the former editor of Linux Today, the erudite Brian Profitt, points out, Elliott, like quite a good many other hedge funds, behaves like a vulture. It buys companies, dismembers them and sells them for a profit. There will be no emotion where Elliott is concerned; the fund even purchased debt in a poor country like Costa Rica when it was possible to make a few million there, Profitt writes. In this respect, Elliott appears to follow in the grand tradition of asset management companies like the legendary Kohlberg, Kravis and Roberts. But Elliott can probably only see dollar signs when it looks at Novell and if the commercial SUSE distribution suffers as a result, I doubt that there would be any tears shed. The bid in its current form is “unlikely to go through”, according to someone whom Forbes quotes. Broadpoint AmTech analyst Bradley G. Whitt agreed that Elliot’s bid as it stands is unlikely to go through. He thinks the bid could trigger a sense of urgency among other large software companies that might have interest in some of Novell’s assets but cautioned that Novell’s broad product suite would make it hard to pinpoint any one software player that might be interested in an all-out acquisition. A more likely scenario would be Elliot, or whichever firm wins the acquisition, breaking up Novell and selling the pieces to various other players. A bidding war is still expected by investors, but no company has stepped up yet. There’s a storm brewing over Novell (Nasdaq: NOVL). The Linux specialist got an unsolicited buyout bid from a private equity firm — but investors seem to expect a bidding war. The takeover bid is “long overdue”, writes someone in the New York Times. A Novell buyout is long overdue. The software maker’s shares have languished for 20 years, yet it generates healthy profit and has no debt. Moreover, a big chunk of the company’s $1 billion of cash is trapped overseas. Elliott Associates’ $2 billion bid could draw out other suitors that have dawdled. Novell’s legacy enterprise networking business is a slowly shrinking cash cow. Clients are locked into paying highly profitable maintenance fees. The company should bring in about $300 million of revenue from this business this year, with roughly half of it flowing through as operating profit, according to analysts. Moreover, this business doesn’t require much capital expenditure. Another attraction for some buyers is Novell’s overseas cash pile. The company can’t repatriate these funds without taking a tax hit. It could use the cash for international acquisitions. But with many of its rivals in the same position, attractive targets are hard to find. Another attraction for some buyers is Novell’s overseas cash pile, according to Breakingviews. The company can’t repatriate these funds without taking a tax hit. It could use the cash for international acquisitions. But with many of its rivals in the same position, attractive targets are hard to find, it notes. Here is an incorrect headline which suggests that more bidders have already emerged (another one repeats Reuters’ mistake of suggesting it’s final). The investigation we mentioned the other day has more than just the initial coverage right now [1, 2]. Here again is the press release [1, 2, 3]. Kendall Law Group announced that it has launched an investigation into Novell Inc. in connection with the proposed acquisition by Elliott Associates, L.P. The firm is concerned that the Board of Directors of the Company may breach their fiduciary duties by failing to seek other deals to better represent the value of the company if they agree to this proposal. As we noted before, Singer has had it planned all along based on the dates. Elliott began acquiring Novell stock on Jan. 4 and controls about 8.5 percent of the company. 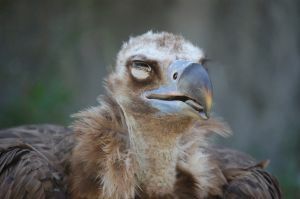 The vulture fund probably waited for the results to come and made the bid just a few days afterwards. Here is new financial analysis of Novell [1, 2]. Institutional shareholders of Novell provided feedback on a range of issues, including capital structure, strategy, corporate governance and executive compensation. Participants responded to 20 specific questions, providing direct company assessments and detailed commentary. – “Are You in Control of Your Sales Expenses?” — executive workshop presentation by Jim Parker, director of global finance at Novell. “The value, net of cash, is roughly $1 billion in enterprise value,” says another source (because Novell has cash too). Other market news that mentions the effect on Novell’s stock can be found in [1, 2, 3, 4, 5, 6, 7, 8, 9, 10, 11, 12, 13, 14, 15, 16, 17, 18, 19, 20, 21, 22, 23, 24, 25]. Here is the coverage from Zacks (also here) and a video that covers the news.